The epic of Ramayana is widely known and accepted throughout Hinduism as a quintessential myth of the ideal man. Rama, the central character, is the incarnation of Vishnu, Sustainer of the Worlds, and as one reads the tale of Rama’s life journey, one may find that his successes accounted mainly for his already destined role in the universe. In addition to representing an ideal man for society, he also represents an ideal hero for the people; mythologist Joseph Campbell would most certainly agree with that previous statement. Why and how is Rama the archetypical hero? Perhaps or perhaps not it’s because even as a man, he was still the imitation of the powerful Vishnu. The appearance of the lotus flower that grows from Vishnu’s navel is influenced with each of Rama’s ‘imperfections’ that are revealed as he undergoes Campbell’s 12 stages of the Heroic Journey. The lotus flower that derives from Vishnu’s navel primarily symbolizes the structure of life. The navel is positioned at the center of the body, so this signifies the lotus flower’s potent connection with Vishnu- therefore, it also has a powerful tie with Rama, who is one of Vishnu’s other forms. This particular meaning, however, becomes insufficient when applied to the actual myth of Ramayana, whereas other meanings are essential to be able to understand the entire story. The life cycle of the lotus flower, for example, represents enlightenment, which is a goal obtained by Rama from the day of his birth. For him to have recognized the idea when he just sprouted into being intimates his own purity and godhood. The origin of the lotus flower itself is from the unlikely confinement of mud, yet it blossoms upward above the surface into a beautiful flower, further suggesting its purity. Consider this analogy: Humans (the lotus flower seeds), held back by the intensity of ignorance (mud), should be able to rise above (blossom upward) their desires, anger, and ignorance (which would be the contents of mud) so the discovery of their true qualities becomes possible (grows into beautiful lotus flowers). If a certain something is pure, wouldn’t one consider it free of all flaws? Then again, if it was a human, this would be a paradoxical dilemma. The perception of human nature has been rewritten over and over throughout the history of man, but one characteristic remains the same: flaws are inseparable from human nature, it’s an inevitable happening. The exception to this statement is with the hero, Rama, who is a man without flaws. In other words, Joseph Campbell’s idea of a hero- the protagonist who eventually comes to transcend his or her own faults and “…comes to participate in life courageously and decently, in the way of nature, not in the way of personal rancor, disappointment, or revenge”- contradicts the definition of a human being when brought to the story of Ramayana (The Power of Myth, 82). By establishing the 12 stages of the Heroic Journey, Campbell provides the perfect framework for readers to visualize how the lotus flower is affected through the course of Rama’s life. The three core parts of the Heroic Journey are the Departure, the Initiation, and the Final phases. In the Departure phase, Rama receives the Call to Adventure when his stepmother exiles him away from his Ordinary World (kingdom); in most normal heroic journeys, a flaw should be exposed through the hero’s Refusal of the Call (most likely out of fear of something new to experience). As an alternative, Rama, being the already enlightened one that he is, accepts his exile readily to become an outcast of the kingdom. Throughout this Departure, the lotus flower would probably have started opening but it closed up instead because the hero had not developed any further skill (which would have appeared through the Refusal of the Call). So far, he has shown to be unchanging and flawless. In the Initiation phase, the hero must endure trials to prove his or her worth to society in situations that involve reality. Rama succeeds in doing this, naturally; there are no barriers or obstacles to cease his archetypical deeds. 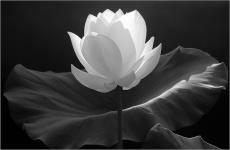 Therefore, because he was able to complete the second phase, the lotus flower started opening again. In the Final phase, Campbell’s concept of a “transcended duality to an underlying singularity”-the vital transformation of the hero’s identity-should be taken into account (“Myth, Morality, and the Women of the X-Men”, 77). The fact is, Rama’s transformation took place before he had a chance to even start living – it was both destined and decided by the Gods. Moreover, this means that Rama did not make the choices that made his life a triumphant one. Technically, Rama was flawless throughout his whole existence, but this does not excuse the truth that his purity was his own undoing in attempting to achieve life as a man, where impurities are necessary. Assuming the information above is true, then the fact that the lotus flower will never fully bloom is also true, due to Rama’s purpose as a human (which is to defeat the main villainous force that threatens the destruction of the universe which whom can only be slain by human hands). By living as a human, his very being conflicts with the pure values given to him by the Gods. It is through one’s struggles to overcome one’s flaws when one is able to become truly successful; it is after this time has been fulfilled that the lotus flower that corresponds to one’s actions can ultimately flourish. As a result, the lotus flower shall remain stagnant at the end of each telling of the Epic of Ramayana. © Copyright 2019 ClaireBaker. All rights reserved. Is It Love If It Comes From Emotion? Video Games: Why and How to Play.